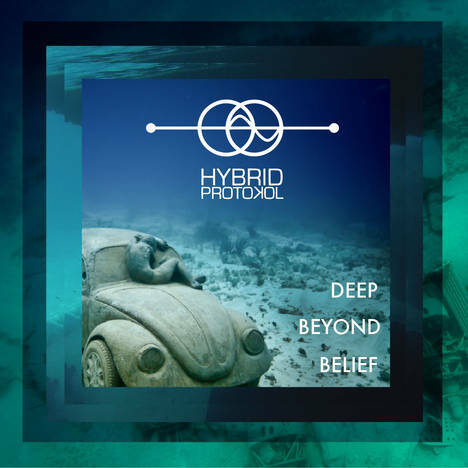 Deep Beyond Belief | Hybrid Protokol | OK Listen! With Deep Beyond Belief, Hybrid Protokol, Kolkata, India based, Live Electronic Duo, have crafted a spirited love letter to 90s and early 00s techno and electronica. The opening track, Dementia, serves as a mission statement, taking the sounds and structure of microhouse pioneers like Ricardo Villalobos and Luomo and welding on the defining elements of 90s big beat. On this track, as well as trhoughout the album, the duo move quickly between sounds while still maintaining a coherent throughline. Cassini's Division frontman Rahul Guha Roy guests on Kundalini, throwing rhymes over Hybrid Protokol's urgent break beats and curling basslines. On the tracks Waterline and Deep Beyond Belief the group bring in fellow Kolkatan Oh, Rocket on vocals. The title track in particular shines, tapping into the same vein of psychedlic/hypnotic techno that Underworld did on dubnobasswithmyheadman. Deep Beyond Belief concludes with a return appearance from Rahul Guha Roy, this time with sparse vocals over the lush instrumentation of Atomic In Your Eyes. Hybrid Protokol's musical influences are clear cut, yet on Deep Beyond Belief they've borrowed just the right amount from their heroes and managed to craft a sound and aesthetic they can call their own. Mixed at Aural Workstation, Kolkata. Mixing Engineer : Adeep Singh Manki Mastering Engineer : Shawn Hatfield, California, USA.